The World Halal Conference (WHC) is an international thought leadership conference held annually converging Government representatives, business leaders, halal industry players, entrepreneurs, scholars and stakeholders from all over the world to Kuala Lumpur, with the common aspiration to further accelerate global halal industry growth. This conference has also in the past, provided the idea platform and also inspired wealth creation through novel findings and innovation. The World Halal Conference (WHC) this year will bring together Heads of Governments and prominent leaders to deliberate on how the Halal industry can resolve Halal socio-economic issues. While Halal is the new source of economic growth, we should also ascertain from which angle this can help the world find a solution to the Halal economy issues. Malaysia is ready to become the world’s premier halal hub offering a complete range of products and services. Prime Minister said the Halal Hub Malaysia would be managed under a system based on halalan-toyyiban requirements. GHSC runs business clinics and pocket talks. It also offers space rental for meetings, incentives conferences and exhibition (MICE) for product launches, interview and product showcase. In brief, it could be regarded as the hub of all future Halal activity and a reference centre for obtaining and disseminating information on Halal development. The Halal Certificate is valid for two years. It can be revoked at any time when the owner is found to contravene with the Halal certification requirement. Renewal shall be made 6 month prior expiry date. 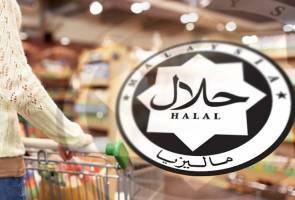 Owners of Halal certificate who fail to renew their certification will not be allowed to use the Malaysia Halal logo at the premise or on the label of their manufactured products. The Halal certificate cannot be traded, leased, exchanged, forged, abused or amended in whatever way, the use of halal logo is subjected to existing laws and regulations of the country and any changes on the name and address of the company, premise, brand name, ingredient, manufacturers and other related matters should be reported to JAKIM in writing for further action. These are among the terms and condition to use JAKIM Halal certificate and Malaysia Halal Logo. JAKIM can blacklist and publish any company which had failed to comply with the term and condition of JAKIM Halal certification procedure.